It’s surprising how far and how fast a fighter’s star can fall when a once-fearsome aura is finally burst. 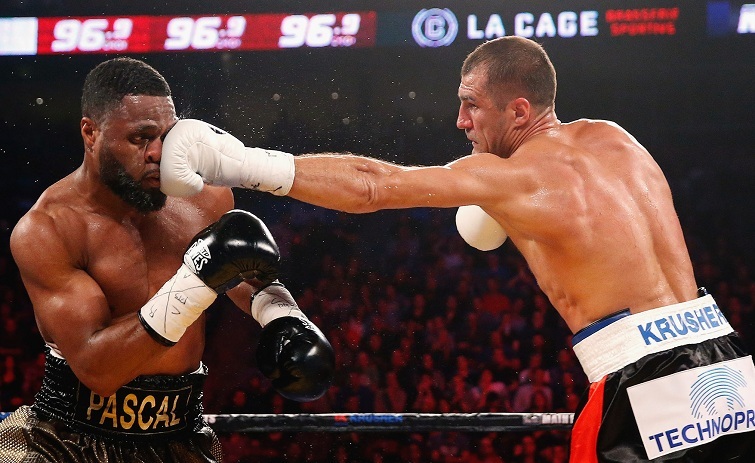 It’s just a few short years ago that Sergey “Krusher” Kovalev was blazing a trail of destruction through the light-heavyweight ranks, but now it feels like an age. Leading up to his first world title challenge in August 2013, Kovalev had won 21 of 22 contests, a freak technical draw providing the lone blemish on his record, with 19 wins coming by stoppage or knockout. There was more than just an undefeated streak to Kovalev though, there was something menacing in the way he went about his work, something nasty in his ring demeanour. Kovalev had an aura that many of the most feared fighters carry. He wasn’t just good; he was dangerous. 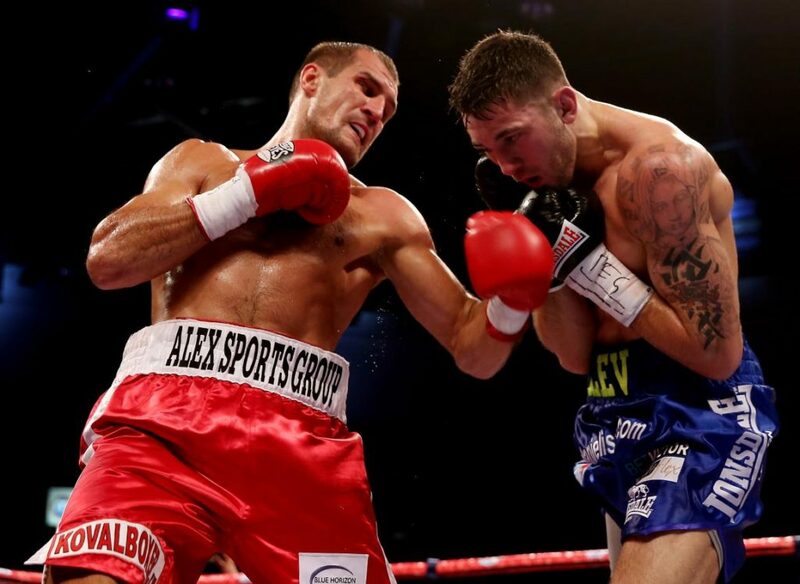 In ripping the WBO light heavyweight strap from Nathan Cleverly, Kovalev was more than impressive. It was startling how, even when Cleverly managed to catch the worst of Sergey’s assault on his arms and gloves, the force of the blows was palpable and the effect concussive. The Welshman was battered around the ring, floored three times and stopped on his feet in the fourth round. Then, after a competitive opening round in his maiden defence against Ismayl Sillakh, Kovalev landed a hard right-left combo early in the second and Sillakh crumpled to the floor. As he rose, the Krusher taunted him before steaming in with another huge right hand and two follow-up lefts, pitching Sillakh face-first into the advertising toblerone under the bottom rope. The Ukrainian lay motionless for several seconds before writhing hopelessly in an effort to regain his senses. It was the kind of kayo that draws an involuntary cringe even from seasoned observers of the hurt business. Classic Krusher: Kovalev taunts a downed Sillakh. In a tense buildup to his rematch with Jean Pascal in January 2016, Pascal, perhaps bravely, had provoked Kovalev’s ire by accusing him of being racist. Kovalev responded that he would like to “end his career.” Given that Roman Simakov had lapsed into a coma and died following a TKO defeat to Kovalev in 2011, these were serious and, frankly, poorly chosen words from the Russian. Pascal took a one-sided beating and was pulled out after seven rounds, with Kovalev’s sadistic side on full display again in the post-fight interview. “It did seem to us that you made good on your promise before the fight to punish him… were you punishing him intentionally and extending the fight?” queried Max Kellerman. In total, Kovalev scored 16 knockdowns in the nine fights from his first title win against Cleverly to his eighth defence versus Isaac Chilemba three years later, with only Bernard Hopkins and Chilemba managing to take him the championship distance. Now a three-belt world champion with 26 knockouts in 30 wins to his name, the Krusher by this time was not only viewed as the most dangerous light-heavyweight in the world, but was widely considered the most formidable fighter, pound-for-pound, in the entire sport. 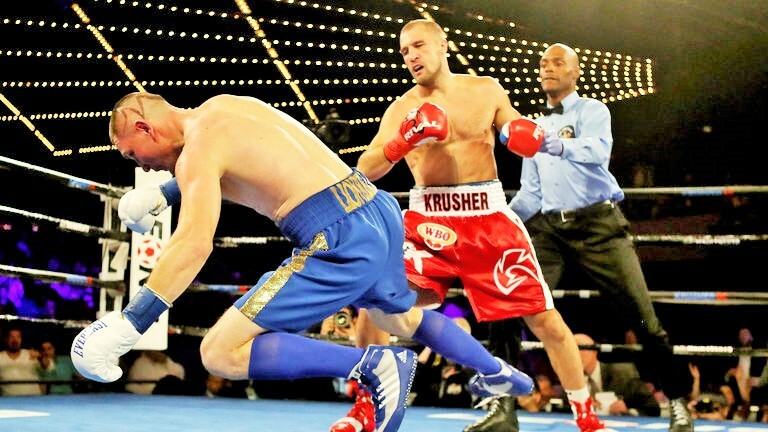 But with attempts to get lineal and WBC light-heavyweight title-holder Adonis Stevenson into the ring falling apart, Team Krusher was forced to look elsewhere for a legacy-defining contest that would cement his status not only as a fearsome fighter, but as a great one, too. The reckoning came in a November 2016 superfight against former super middleweight champion, Andre Ward. Recognition as the world’s best boxer, pound-for-pound, awaited the victor. Kovalev vs Ward I: “S.O.G.” prevails on points. 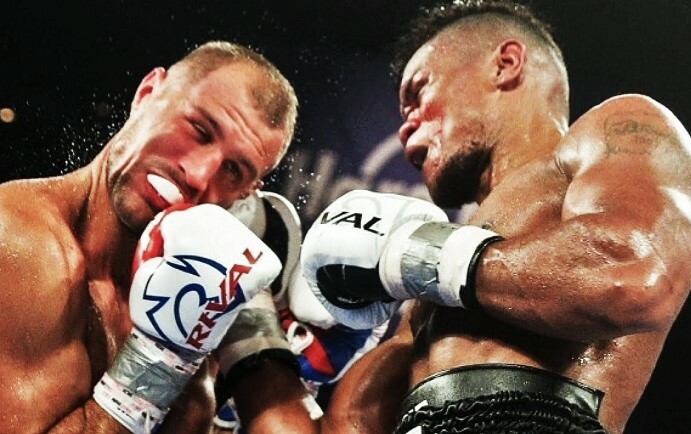 True to his usual form, in the second round Kovalev smashed home a hard right and Ward hit the deck. For a moment it looked like he was set to become another of the Krusher’s KO victims, but Ward dug in, fought his way back into the contest, and eked out a bitterly disputed points win, taking Kovalev’s titles and his undefeated record with them. It was a hard loss to swallow, but the Krusher could take solace in the fact that he would get the chance to exact revenge in a contracted rematch. After a competitive opening six rounds Ward prevailed again, this time shocking almost everyone by scoring an eighth-round TKO. Once again, the result was not without controversy though, with two apparent low blows preceding referee Tony Week’s intervention. Kovalev’s camp cried foul, insisting they should have been awarded the victory by disqualification. 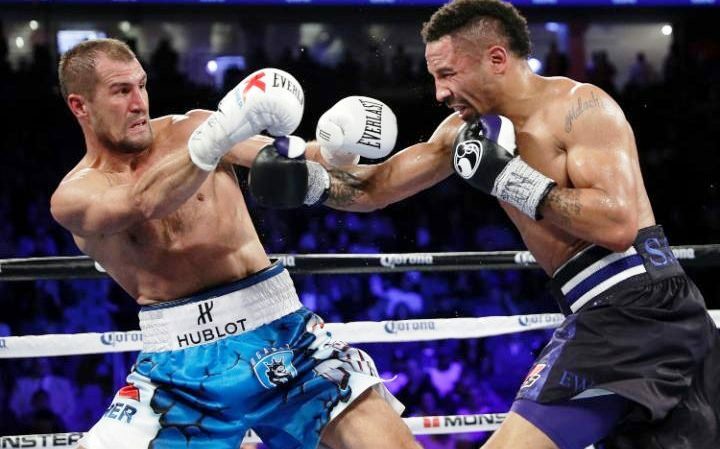 Kovalev vs Ward II: The end of “Krusher”? But the damage done to the Krusher’s intimidating aura was undeniable. Visibly dispirited by Ward’s sustained body attack, he repeatedly complained about borderline punches throughout the fight before being shaken to his boots by a huge right hand. As Ward poured on the pressure and the bout reached its contentious ending, there was no argument, no outrage, no WAR left in the Krusher. His face and his body spoke the language of defeat and capitulation. It’s entirely possible that Kovalev was essentially finished as an elite force on that night. When a fighter who is so used to being the bully is mentally broken, often they are never the same: the physical wounds heal, but something crucial is taken from their soul. In this context, the debatable scorecards and the low blow controversy actually turned out to be a blessing in disguise for Kovalev. The defeats could be explained away as the result of unfair officiating, and the Krusher was able to convince himself – at least on the surface, if not in the depths of his psyche – that he was never legitimately beaten. 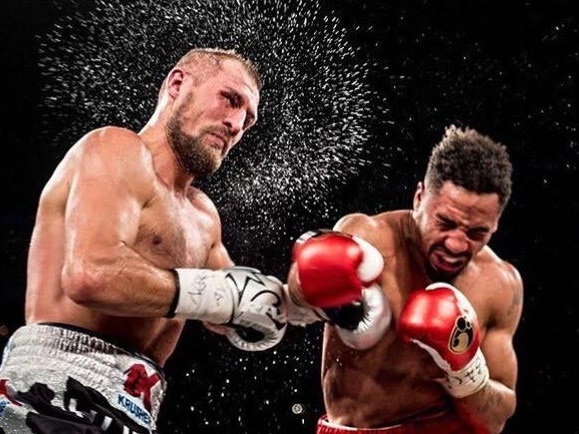 And so, with Andre Ward retired, five months later Kovalev reclaimed his old WBO belt with a brutal three-knockdown, second-round knockout of Vyacheslav Shabranskyy, followed up with a seventh-round stoppage of Igor Mikhalkin, and for a while it looked like the old Krusher was back in business. 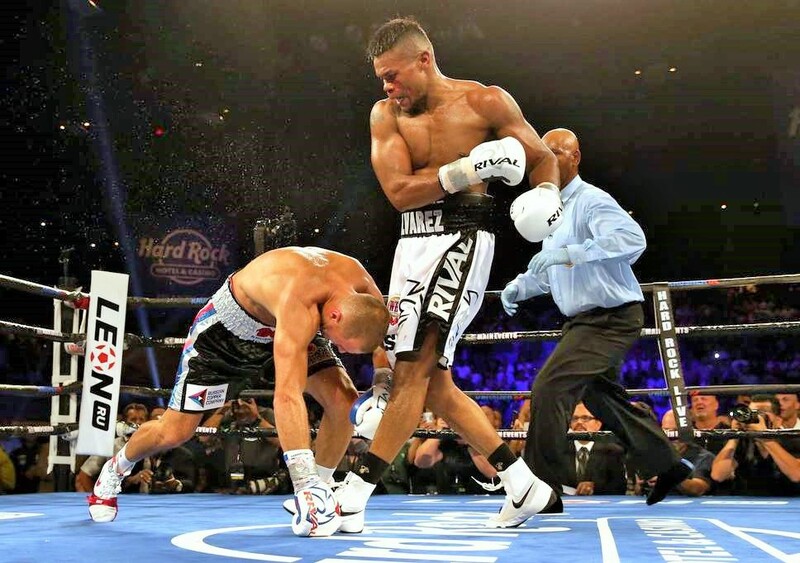 But then came “Storm,” and if Andre Ward had dented the Krusher’s ferocious aura, Eleider Alvarez took a hammer and smashed it to pieces. The undefeated Columbian who fights out of Montreal, gave a brilliant performance and made a mockery of those who had underestimated him in their pre-fight predictions last August. Looking ripped and strong, he targeted the body from the beginning, stuck a solid jab in Kovalev’s face and stayed composed under heavy fire in a tough fourth round. And though Kovalev started well and was even leading on all three scorecards at the time of the stoppage, this was far from a case of a superior fighter “just getting caught” with a single, fight-changing punch. In fact Alvarez had been probing with the same shot all night, landing several prior to the booming right hand that put him on the seat of his trunks in round seven. “We practiced that punch during training camp,” beamed the new champ afterwards. Alvarez showed Kovalev little respect. Down and hurt, Kovalev got up immediately and nodded to the ref that he wanted to continue. But when you’ve spent a career dishing out beatings, it’s not easy to reverse the roles and play defence. And Kovalev, it appeared, lacked the mindset and the wherewithal to move his feet, steal some vital seconds and recuperate. Alvarez continued to score until he landed a monster left hook, spinning the Krusher’s head around and dropping him again, more heavily this time. Kovalev gamely raised himself, but the contest was over. He was down again within seconds and this time referee David Fields correctly waved the finish. Kovalev’s former trainer, John David Jackson, was also quick to point out that Alvarez’s win vindicated his reports about the Russian. In the aftermath of the Ward defeats, Jackson went on record stating that Kovalev refused to listen or put in the necessary work in the gym and, notably, that he was especially vulnerable to the body. Of course, no fighter likes to get hit to the body, but Kovalev’s habit of complaining to the referee about borderline punches does appear to reveal something about his mindset in the heat of battle. And while it may be an exaggeration to say he “gasses out” after six rounds, his punches do not carry the same potency, and his appetite for battle does seem to wane, as the rounds go by. “The idea that Kovalev will fold if the going gets tough because Andre Ward was able to do that to him, doesn’t mean that just normal, excellent fighters can do that to him,” Max Kellerman had told viewers, during the sixth round. The problem for Kovalev was that Alvarez turned out to be more than just a “normal, excellent” fighter though: he turned out to be a world-class fighter with power, a solid chin, an effective game plan and a steadfast refusal to be intimidated by the Krusher. Can the once-feared Kovalev recapture his destructive form? Can he look himself in the mirror and take ownership of whatever faults have held him back, and successfully implement them against a fighter as good as Alvarez? 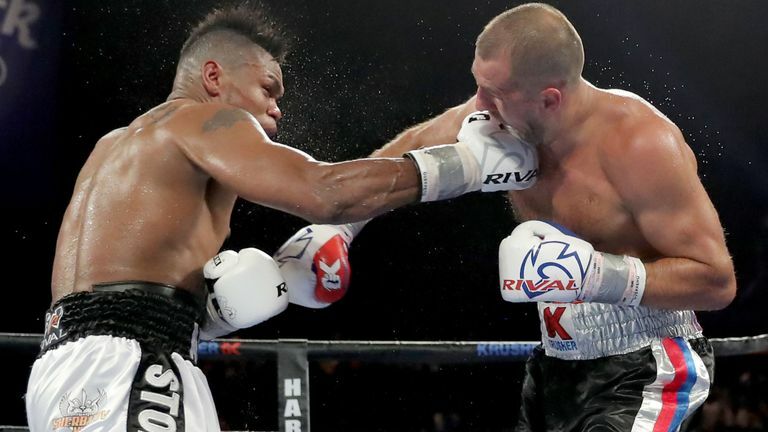 Teaming up with renowned trainer Buddy McGirt was certainly a positive step in the right direction, and taking the immediate rematch itself tells us Kovalev retains some confidence in his own ability. How much of an impact McGirt can realistically expect to have on Kovalev in a single training camp, at the 35 years of age, is questionable though. 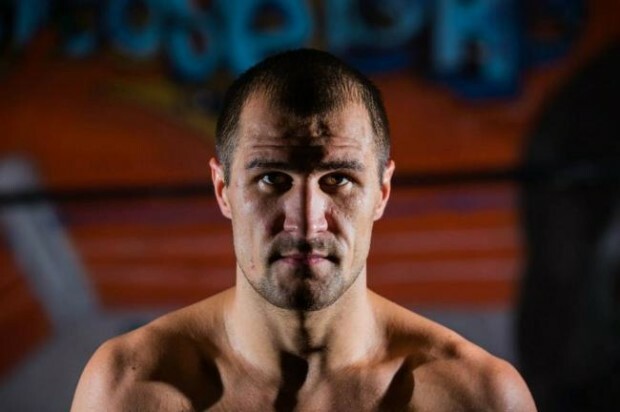 And whether the Krusher’s eagerness in taking the rematch is more down to deep-rooted self-belief or denial over the cause of his downfall remains to be seen. His public comments regarding overtraining and having given Alvarez “a gift” suggest the latter may be in play. A Kovalev win on Saturday could be the comeback of the year. But, as if the challenge facing the once fearsome “Krusher” wasn’t daunting enough, we now know that Kovalev has a dark cloud hanging over him, one which had to have been a massive distraction prior to the first Alvarez fight and which threatens to engulf him. The former champion has been charged with assault and faces up to four years in prison, the charges arising from an incident that took place in June in California. According to the complainant, model and actress Jamie Frontz, Kovalev followed her home, assaulted her, kicked her dog and then punched her in the face. She suffered serious injuries and, according to media reports, is now suing Sergey for three million dollars. Kovalev has pleaded not guilty to the charges and denies punching Ms. Frontz.